Having already gained the support from the Dalai Lama and Star Wars legend Mark Hamill, the force is undoubtedly strong with Open Bionics, the Bristol-based business using 3D-printing to develop bionic arms for children and adults alike. Proving the point, the startup just closed an impressive $5.9m series A investment. The round was led by Foresight Williams Technology, the enterprise investment scheme. The investor was joined by VC firms Ananda Impact Ventures and Downing Ventures, which also injected cash into Open Bionics’ seed round in 2017. The founders aim to use the money to service multiple international markets and plans to enter the US later in 2019. The funding comes after the entrepreneurs behind the scaleup were named among the 2018 Hottest Startup Founders in Europe at The Europa Awards. And that’s on top of the recognition from multiple awards for engineering and innovation including coveted trophies like the James Dyson Award for Engineering, a Wired Social Innovation Award, a Limbless Association Prosthetic Innovation of the Year Award and a $1m UAE AI & Robotics International Award for Good. 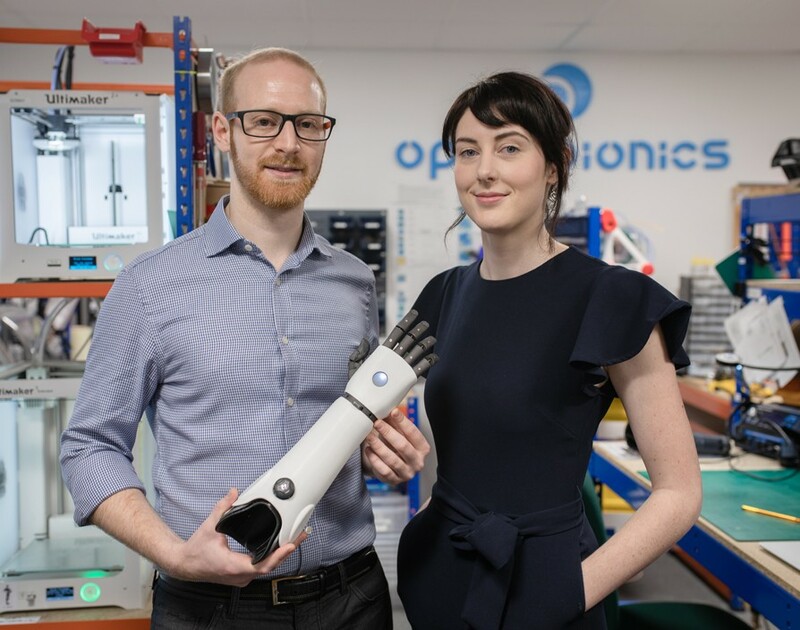 Commenting on the round, Samantha Payne, co-founder and COO of Open Bionics, said: "We're exceptionally excited to receive this support from such high calibre investors who not only offer financial backing but incredible experience in commercialisation, measuring impact and engineering high performance hardware." We can’t wait to hear what this exciting startup does next.